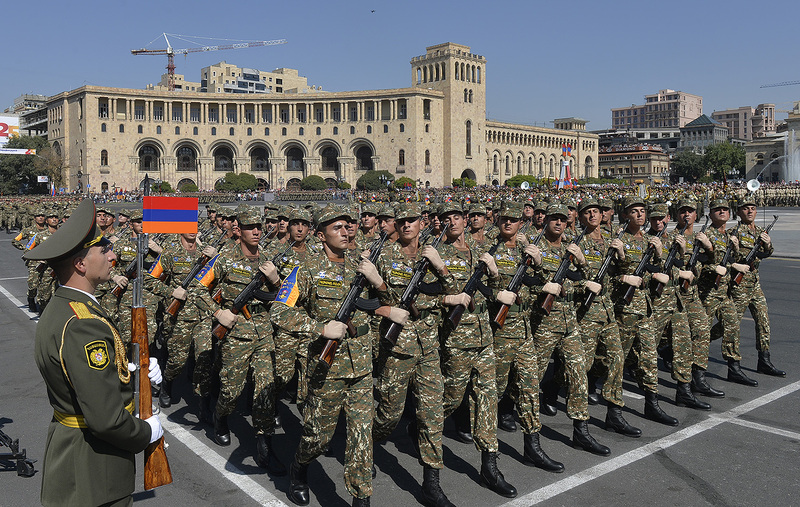 People in Armenia and Nagorno Karabakh are increasingly opposed to making any concessions to Azerbaijan in their long-running conflict, and are also increasingly pessimistic about the chances for peace, a new study has found. Hardening attitudes in Armenia have been anecdotally observed for the last several years, a trend that accelerated after the heavy fighting in April 2016 in which Armenians, for the first time since the ceasefire in 1994, lost some territory. But the new survey, from the Yerevan think tank Caucasus Institute, fleshes out those impressions with some data. A 2004 poll, for example, found that two-thirds of Armenians expressed support for some sort of concessions to Azerbaijan in the name of peace. But a 2017 survey, the report found, “shows that readiness for compromise has drastically decreased,” with only eight percent expressing support for some concessions. The idea of friendship with individual Azeris also has declined. According to surveys in 2009, 30 percent of Armenians said they considered friendship with an Azerbaijani to be possible, while only one percent of Azerbaijanis said the same thing about Armenians. “This is a huge gap, which, sadly, has been closing in recent years,” the Caucasus Institute reported.